Heather Marie was born in St Helens, Merseyside, and first discovered her love of singing in primary school before progressing further in high school appearing as the lead in many school productions. Heather went on to study theatre studies and performing arts at A-Level. In 2009 Heather decided to go professional and received her first booking at a private golf club in Manchester, since then Heather has gone from strength to strength performing all over the UK at private functions, charity and corporate events, weddings and wartime weekends to thousands of people. 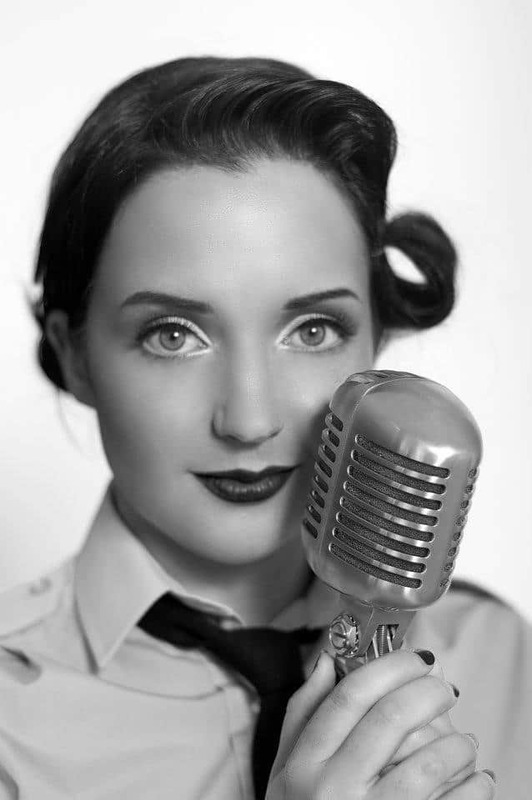 Heather was honoured to perform with the legendary dance band of the Royal Air Force Squadronaires at a fundraising event for Help for Heroes back in 2011 and with the Syd Lawrence Orchestra in Guernsey during 2012. Heather also performed again with the RAF Sqaudronaires at the RAF Association 70th Anniversary conference in Eastbourne in 2013. Heather continues to perform throughout the UK and has appeared on BBC Radio Merseyside, BBC Radio Guernsey, BBC Radio Lancashire, BBC Radio Lincolnshire, ITV Granada evening news, BFBS Radio and many more. Heather has also appeared on the front cover of Vintage Life Magazine, inside Cheshire Life and Lincolnshire life magazine, local newspapers and in many other vintage publications. Heather now lives in Lincolnshire with Matthew Little who is Director of Music for the Band of the RAF Regiment.